French composer, born on the 27th of May 1799 at Paris, of a Jewish family. He studied at the Paris Conservatoire under Berton and Cherubini, and in 1819 gained the grand prix de Rome with his cantata Herminie. In accordance with the conditions of his scholarship he started for Rome, where he devoted himself to the study of Italian music, and wrote an opera and various minor works. In 1827 his opera L'Artisan was performed at the Théâtre Feydeau in Paris, apparently without much success. Other works of minor importance, and now forgotten, followed, amongst which Manon Lescaut, a ballet, produced in 1830, deserves mention. In 1834 the Opéra Comique produced Ludovic, the score of which had been begun by Hérold and had been completed by Halévy. In 1835 Halévy composed the tragic opera La Juive and the comic opera L'Éclair, and on these works his fame is mainly founded. The famous air of Eléazar and the anathema of the cardinal in La Juive soon became popular all over France. L'Éclair is a curiosity of musical literature. It is written for two tenors and two soprani, without a chorus, and displays the composer's mastery over the most refined effects of instrumentation and vocalization in a favorable light. After these two works he wrote numerous operas of various genres, amongst which only La Reine de Chypre, a spectacular piece analyzed by Richard Wagner in one of his Paris letters (1841), and La Tempesta, in three acts, written for Her Majesty's theatre, London (1850), need be mentioned. In addition to his productive work Halévy also rendered valuable services as a teacher. He was professor at the Conservatoire from 1827 untill his death -- some of the most successful amongst the younger composers in France, such as Charles Gounod, Victor Massé and Georges Bizet, the author of Carmen, being amongst his pupils. He was maestro al cembalo at the Théâtre Italien from 1827 to 1829; then director of singing at the Opera House in Paris until 1845, and in 1836 he succeeded Reicha at the Institut de France. 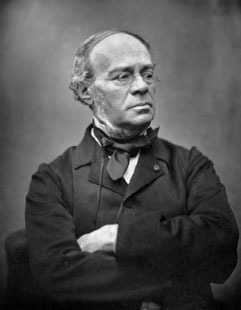 Halévy also tried his hand at literature. In 1857 he became permanent secretary to the Académie des Beaux Arts, and there exists an agreeable volume of Souvenirs et portraits from his pen. He died at Nice, on the 17th of March 1862.